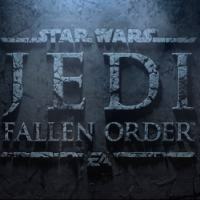 Star Wars Jedi: Fallen Order is a spectacular action game set in the Star Wars universe. The game was created by Respawn Entertainment together with Electronic Arts. The story takes place between episodes III and IV of the movie saga. Players assume the role of a Jedi Knight – one of the few who survived Order 66, massacre orchestrated by Emperor Palpatine. Together with other Jedi, the main protagonist has to hide from the ruthless forces of the Empire and start assembling those ready to oppose the Sith regime.